The Black Saturday bushfires claimed 173 lives and destroyed thousands of homes in Victoria on February 7th, 2009. Today, exactly one decade on, this remains Australia's worst bushfire disaster in history. But was it as bad as it can get in terms of bushfire weather in Australia? According to the Country Fire Authority, 19,000 of their members were directly involved in fighting the Black Saturday bushfires. This contingent was comprised of both frontline firefighters and personnel providing support and incident management behind the scenes. 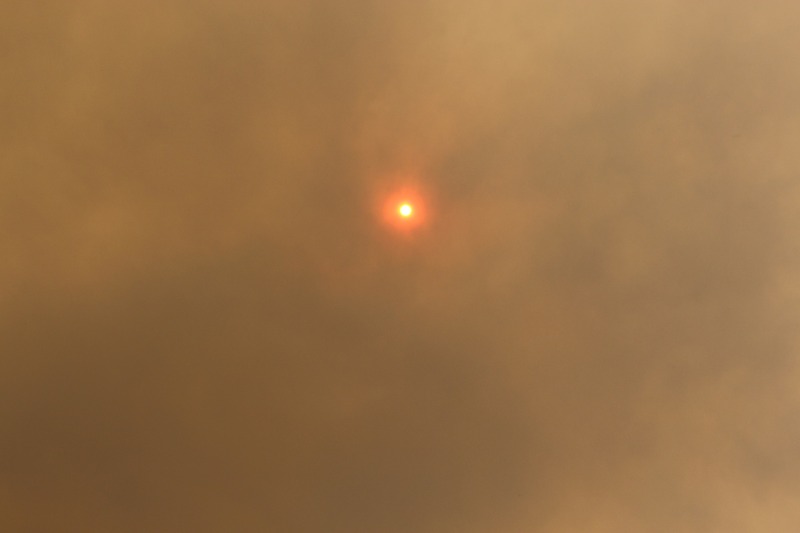 The Black Saturday bushfires occurred towards the end of a prolonged heatwave that affected southeastern Australia during late January and early February in 2009. What made February 7th so bad was the arrival of a strong cold front in Victoria. This front caused a surge of hot, dry and blustery northwesterly winds to sweep over Victoria ahead of a strong southwesterly change. The combination of record high temperatures, low relative humidity and strong wind ahead of the front produced exceptionally high fire danger ratings in Victoria on Black Saturday. A weather station at Mount Gellibrand registered wind gusts up to 120km/h and a maximum temperature of 45.3 degrees on Black Saturday. Combined with exceptionally dry air, this mix of weather is capable of producing forest fire danger index values of about 350, which is well above the threshold of 100 for Code Red in Victoria (Catastrophic elsewhere). The fires of Black Saturday were unrivalled in Australia based on the loss of lives and properties. However, when you look at the weather elements that produced these fires, it appears they could have been worse. While Hopetoun's 48.8 degrees still stands as a Victorian record, temperatures could feasibly get higher in the future. Victoria's average maximum temperature is increasing by around 0.1 degree per decade, according to the Bureau of Meteorology. Kilmore Gap, located near the Kilmore East fire than claimed 119 lives on Black Saturday, registered wind gusts up to 92.5km/h on the day. This site has previously recorded gusts up to 102km/h during summer. Wind gusts at Wangaratta Airport, located a bit to the west of the Beechworth-Mudgegonga fire, reached 63km/h on Black Saturday. This is much lower than the site's summertime record of 113km/h. Unfortunately, Australia's worst bushfire disaster in history may not be as bad as it gets for our country in terms of fire weather.